Hey y’all – I know it’s October 11, but welcome to my first post for the October blog theme of Imaginative. 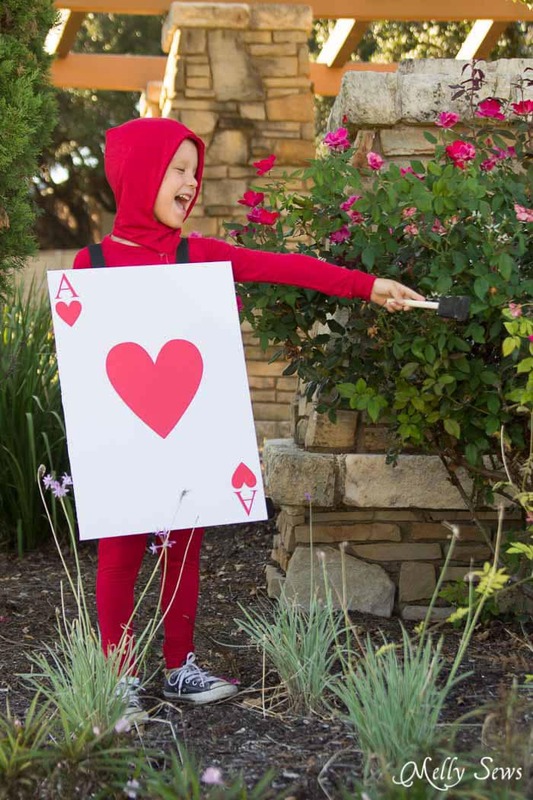 After almost breaking my heart by insistence on not coordinating costumes (and the day that happens might be the day I order costumes instead of sew them), the boys and their cousin came around and decided to be characters from Alice in Wonderland. 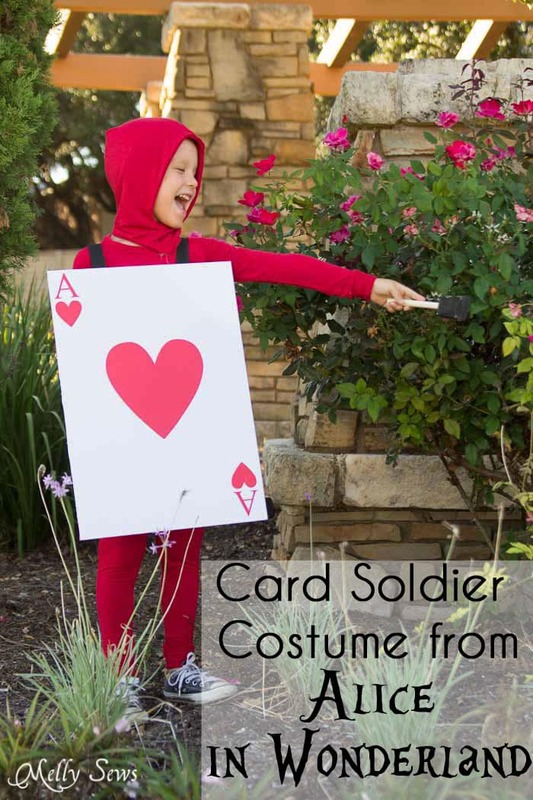 So today I’m sharing the Card Soldier costume that Bean chose. Mostly because he wants a spear to “cut off their heads”. 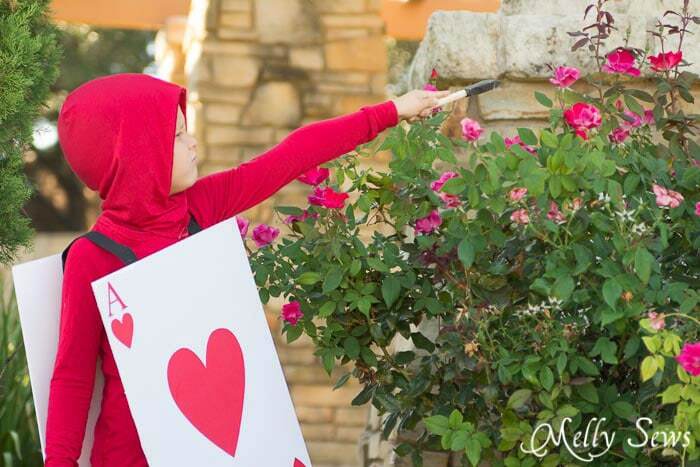 The kid was sorely disappointed for this photo shoot when I instead handed him a paintbrush and told him to paint the roses red. But then he got into character – and we said thanks for the fact that fall comes very late here, because that meant that we could still find roses to paint. 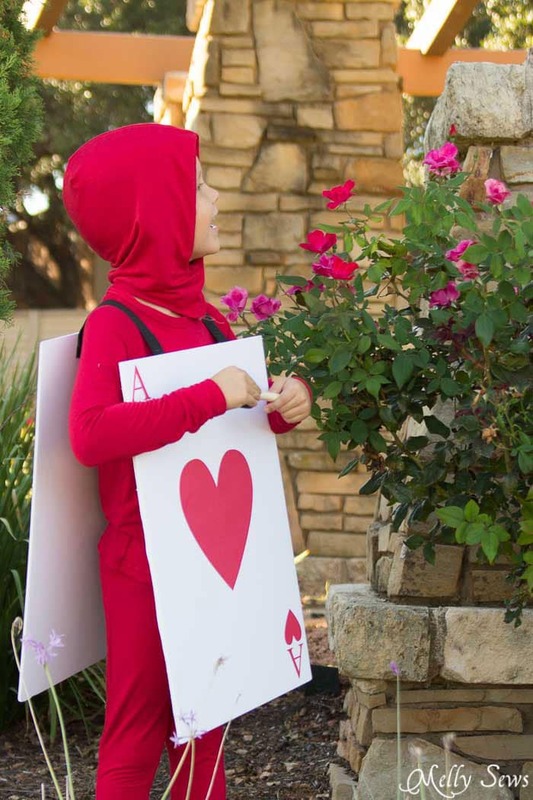 Also – this costume was the easiest of the three I made. And it will do double duty as pajamas for the winter, so this one feels like winning. 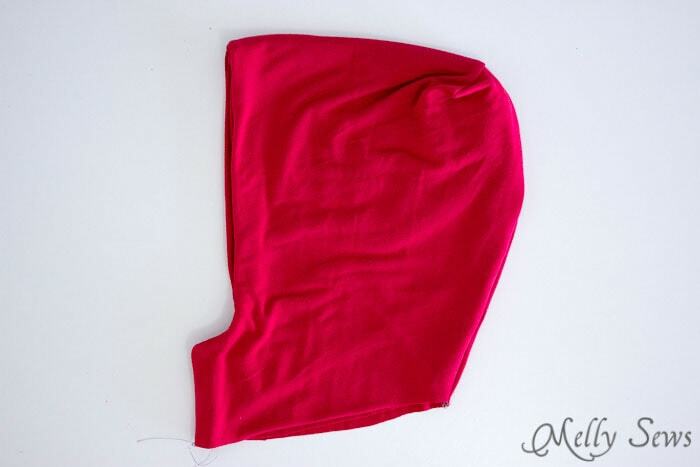 I started with the Knit Raglan Pajamas (which have a free pattern in this post), and made them entirely in red. I sewed these exactly like the directions given in that post, so get those there. 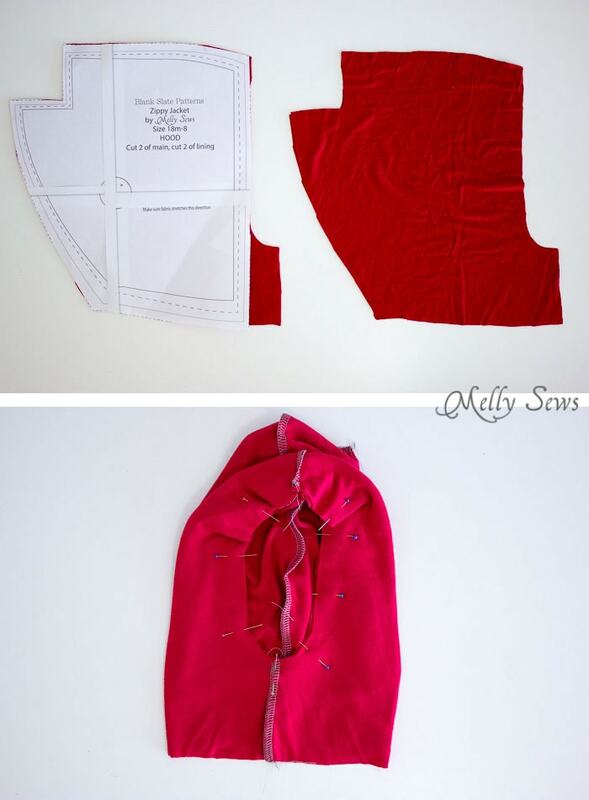 Then I grabbed the free Zippy hood pattern from this post. I cut 4 of that from red, adding a 1 1/2 inch wide by 4 inch tall section to the bottom as pictured below. Note: I do think adding about 2 inches to the bottom of this hood would have been a good idea, but oh well. I sewed the center back notches and center seam as done in the directions in that post, and I also sewed the front addition section right sides together. Then I pinned the lining to the outer fabric (which are indistinguishable in this case, making this an easily reversible hood) right sides together and stitched around the face opening, then turned the whole thing right side out. I thought about sewing the layers together around the neckline, and I may still do that, but honestly it’s a costume and we needed to get pictures done. So I didn’t. The cards are foam board cut to 14″x20″, then I hot glued strips of elastic onto them so they could hang over Bean’s shoulders. I probably should have used red grosgrain ribbon, so it wouldn’t stand out so much against his red top, but again, eh, it’s a costume that he won’t wear much. Watch the rest of this month for the other characters from Alice, including, of course, Alice!